The popularity of flavored tobacco can be best described as reducing the harsh taste of tobacco, which makes it more appealing to new smokers. The concept became available in a wide range of products, such as smokeless tobacco, cigars and cigarettes. This new accessibility of flavored tobacco has boosted its popularity as well. No one can deny the growing popularity of flavored tobacco as smoke shops use this to attract new customers, and it appears to be continuing on an upward trend. The thought of people changing their smoking habits has caught everyone by surprise, and the popularity of flavored tobacco doesn’t appear to be decreasing or leveling off any time soon. The bigger question that remains for smoke shop owners is predicting whether or not flavored tobacco is a fad or here to stay. Many long-time smokers have chosen flavored tobacco as the main source in their transition away from daily use of cigarettes. Some of them feel it’s less harmful than the obvious choice to combat their addiction. The more popular flavors are mint and mango for tobacco smokers. Still, no official data has confirm whether or not smoking flavored tobacco helps active smokers to quit or encourage newcomers to begin smoking cigarettes. No question flavored tobacco plays a significant role in smoke shops gaining returning customers. Some will come back several times in one week to smoke their favorite tobacco. Others, like the atmosphere inside a smoke shop because it encourages them to smoke flavored tobacco with friends in a fun, safe environment. It’s a new form of socializing in a relaxed group setting for all. The Food and Drug Administration (FDA) has set up guidelines that will enforce how different flavors of tobacco sold on the open market, and this measure has brought smoke shops under their authority. However, none of the federal regulations created has restricted the type of product sold in smoke shops. It should be noted that leading tobacco companies have pledged to stop selling flavored tobacco products to minors and have begun to shut down all of their social media campaigns that might attracted under-age smokers. After a slight setback, smoke shops have rebounded nicely by selling flavored tobacco strictly to adults, and requiring all customers to show proof of age and identity at the time of the purchase. Everyone has agreed this is the best approach to limiting the access of flavored tobacco to minors. Still, skeptics are unsure if the FDA guidelines are reliable enough to become a major success. Their argument centers if the regulations are going to clamp down on age restriction, then all flavored tobacco purchases must be an in-person sale only. Underage customers can circumvent the rules by making online purchases, thus bypassing the industry’s age requirement law. Federal law does ban flavored cigarettes from being sold to the general public, but there are no sanctions for tobacco products. This would include smokeless tobacco, cigars, cigarillos, rolling papers and blunts, and e-cigarettes. 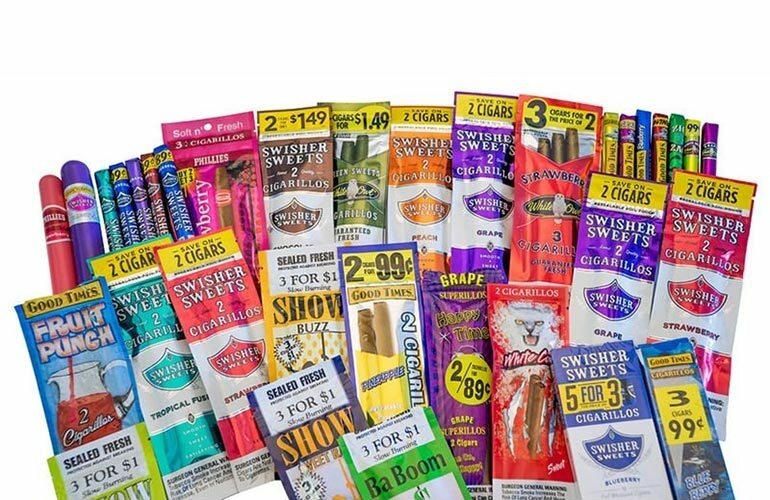 With this gap in the interpretation of the law, smoke shops have capitalized on the market by introducing a wide variety of flavored tobaccos to their customers. Astute marketing has brought a new wave of smokers into shops by effectively promoting limited-edition flavors, eye-catching imagery on packaging and emphasizing new flavored tobaccos in all advertising campaigns. This strategy follows the same approach as other retail businesses that promote their own brand. The jury is still out on the length of the popularity for flavored tobacco, but despite strong opposition from it’s distractors, it has developed a niche in the retail business community. At some point, there will be some decline in popularity, but no one can predict an end date for this product.